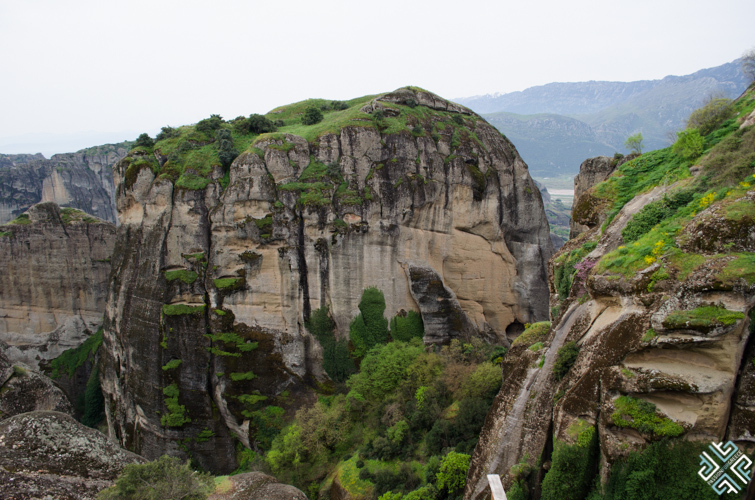 If you ask me to describe the wonders of hiking in Meteora Greece, I would have to reply with one word magical and if you ask me for two then a magical experience would be my answer. 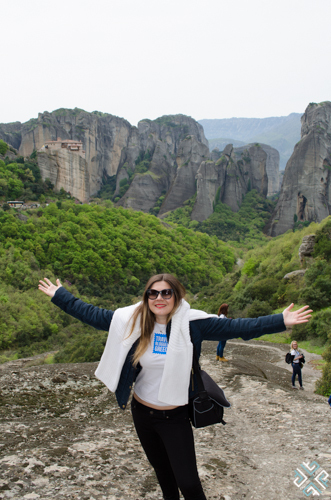 Early April together with my fellow travel bloggers of Travel Bloggers Greece, we accepted the kind invitation of Meteora Thrones and embarked on a weekend journey to discover the majestic Meteora. 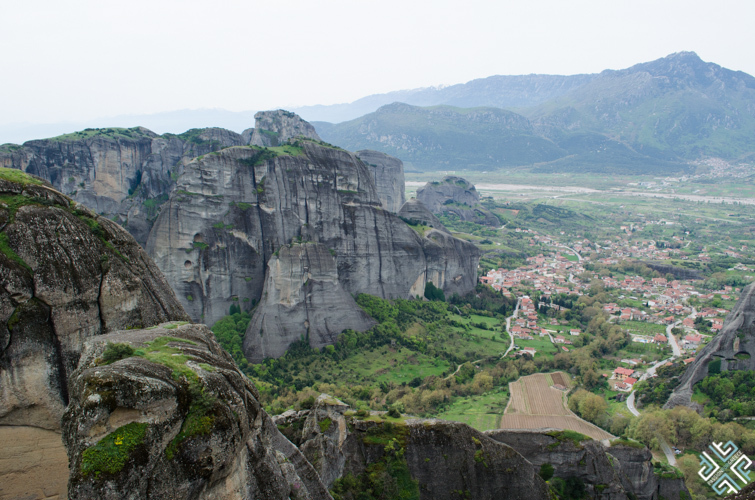 My first visit to Meteora was about fifteen years ago when smart phones didn’t exists and travel blogging was a term that no-one knew of. This time I would find myself discovering the destination from completely new perspectives and with a different kind of appreciation. 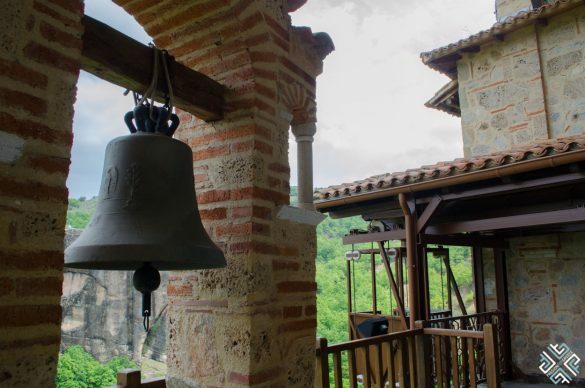 Waking up in Kalambaka early Saturday morning, my hotel room view opened up to the rare geological phenomenon of the Meteora mountains. The name Kalambaka originated from a Turkish word Kalembak which means “view of the fortress”, explained our guide Dimitris as we were comfortably seated in our private, luxury mini-van heading towards the first destination, the Great Meteoron Monastery. 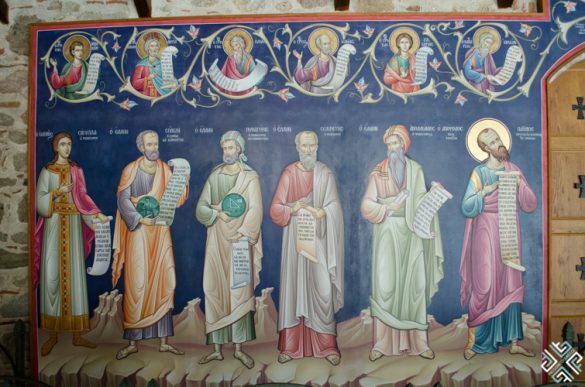 By the end of 15 century there were 24 operating monasteries in Meteora Greece, out of which 8 have been preserved and only 6 are operating to this day. 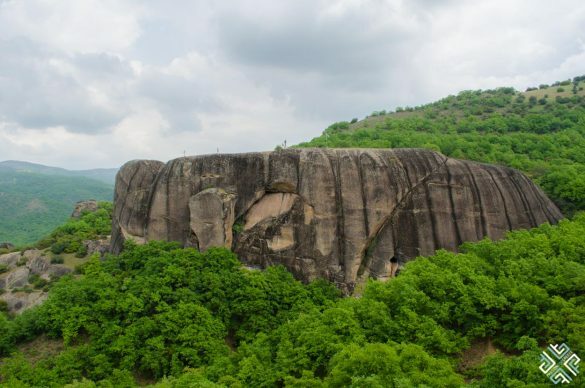 The monasteries are perched on top of the natural sandstone rock pillars, some of which reach as high as 400 meters into the sky. 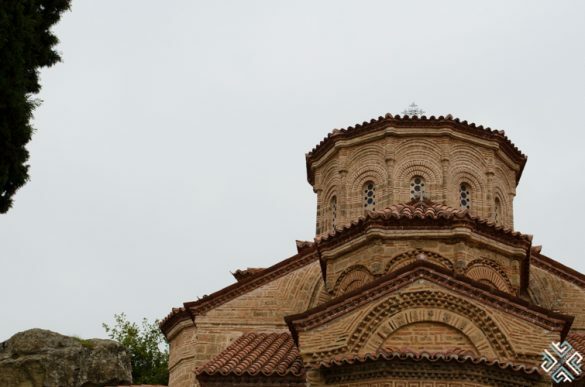 As we reached our first stop our eyes met the biggest and oldest monastery of all, the Great Meteoron Monastery known as the one which is “suspended in the air”. 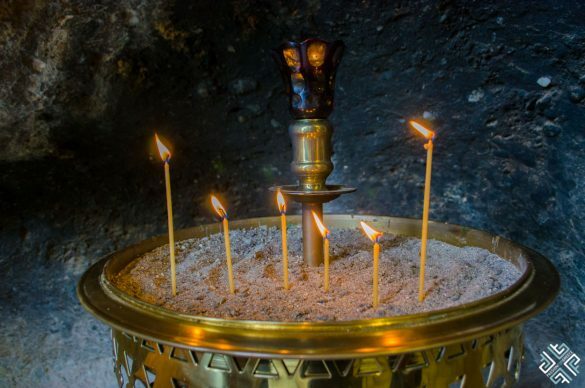 Literally the word meteora can be best described as suspended between heaven and earth, and this is the feeling that you get as you find yourself getting lost in the spirituality of this holy place. 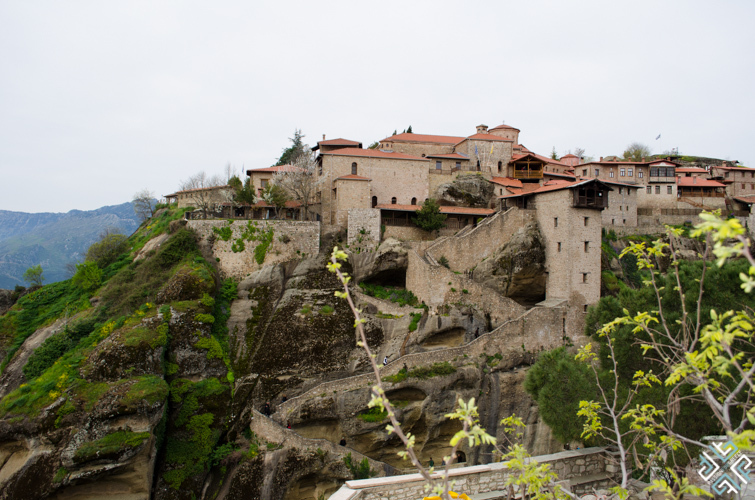 As we walked up towards the entrance of the Great Meteoron Monastery, Christos our local guide who knows Meteora as good as the back of his hand explained the history of the area and shared some interesting facts about this natural geological phenomenon. 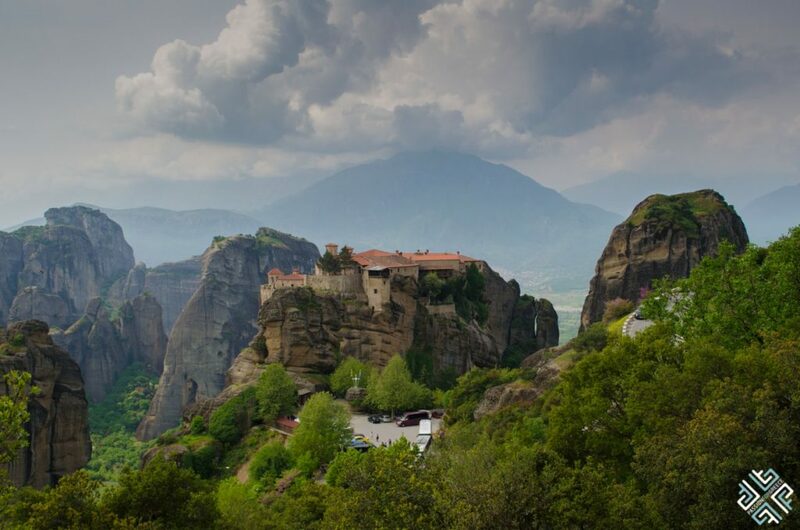 Meteora is a truly inspiring and sensational creation and its giant rocks have been formed by the huge mass of river stones, sand and mud. 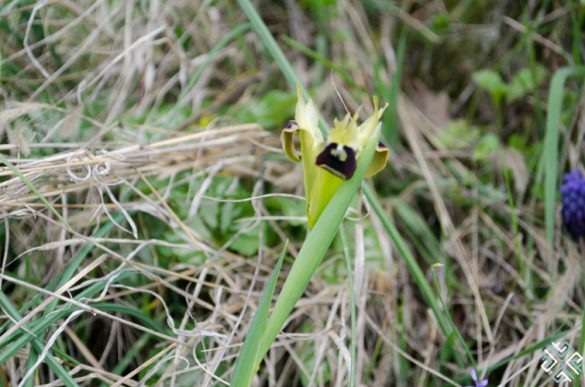 When it rains the mountains turn into a lush green environment as the tiny plants covering the surface of the rocks absorb the water and start exposing their true colours. 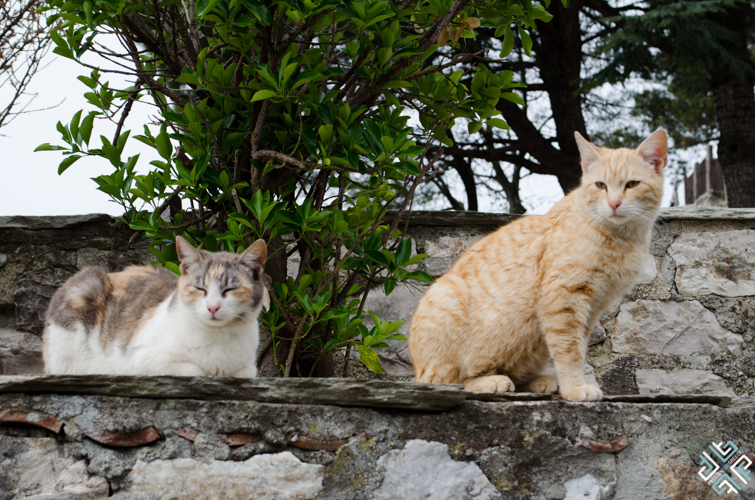 Two colours rule here, green and grey and they are in a constant battle so to say of which one will take over the landscape. 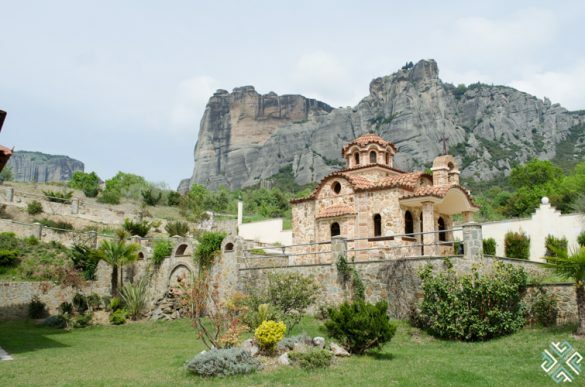 Inside the Great Meteoron Monastery which was founded by Saint Athanasios the Meteorite, you can experience a breathtaking view from the Platys Lithos (“Broad Rock”), the rock on which the Great Meteoron stands, which rises over 615 meters above sea level. The frescos inside the monastery have been well preserved showcasing the Virgin Enthroned, the Three Hierarchs, various military saints, as well as the monastery’s founders Athanasios and Iosaph, and scenes from the life of Christ. 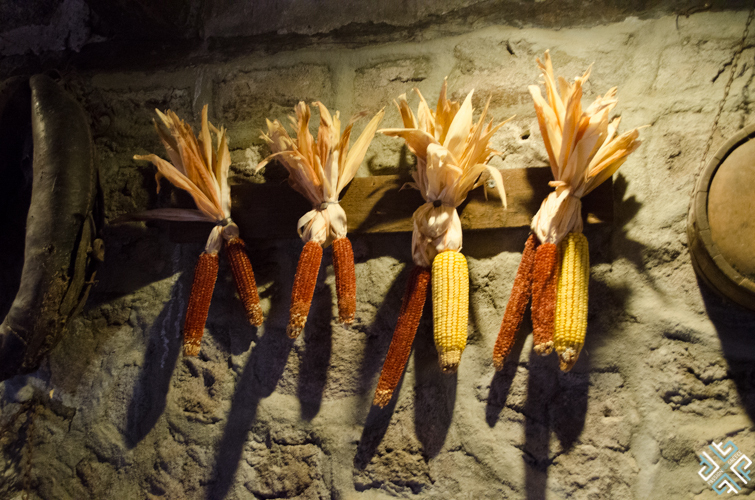 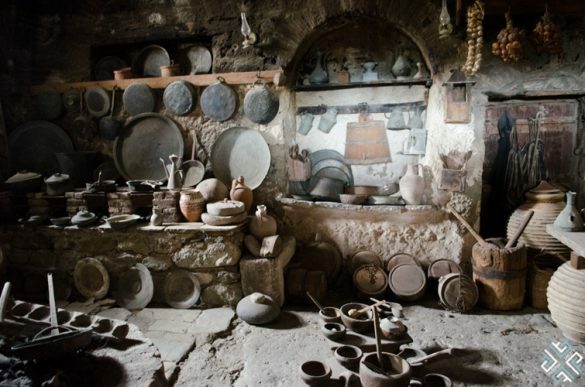 There is also a kitchen which contains the original bread oven and a wine cellar which houses wooden wine barrels and other agricultural supplies. 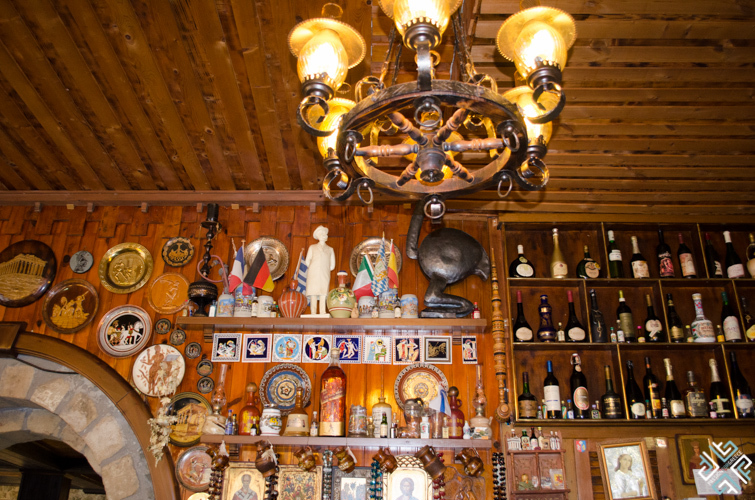 Make sure to visit the museum which is quite remarkable, here you can see rare icons and manuscripts among other valuable items that have been well-preserved over the centuries. After exploring the Great Meteoron Monastery, Christos said now “let’s go hiking in Meteora” and we followed him inside the narrow paths that led into the valleys set on the foothill of the great rocks. 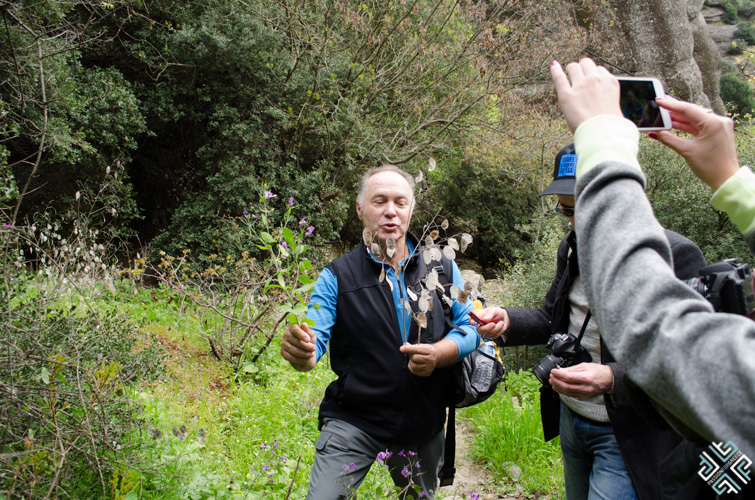 Christos stopped and spoke about the natural plants and herbs that are grown in the area, he also shared the stories of how the monasteries were created. 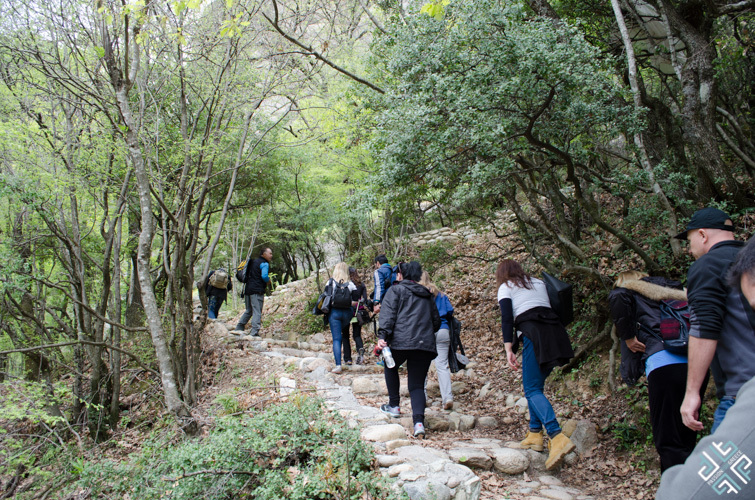 There are numerous hiking paths in the area, some are more difficult than others. The two routes that we took with Christos were great and not too difficult, you must wear the right shoes and be careful where you step, other than that it is a great experience to become one with the nature. 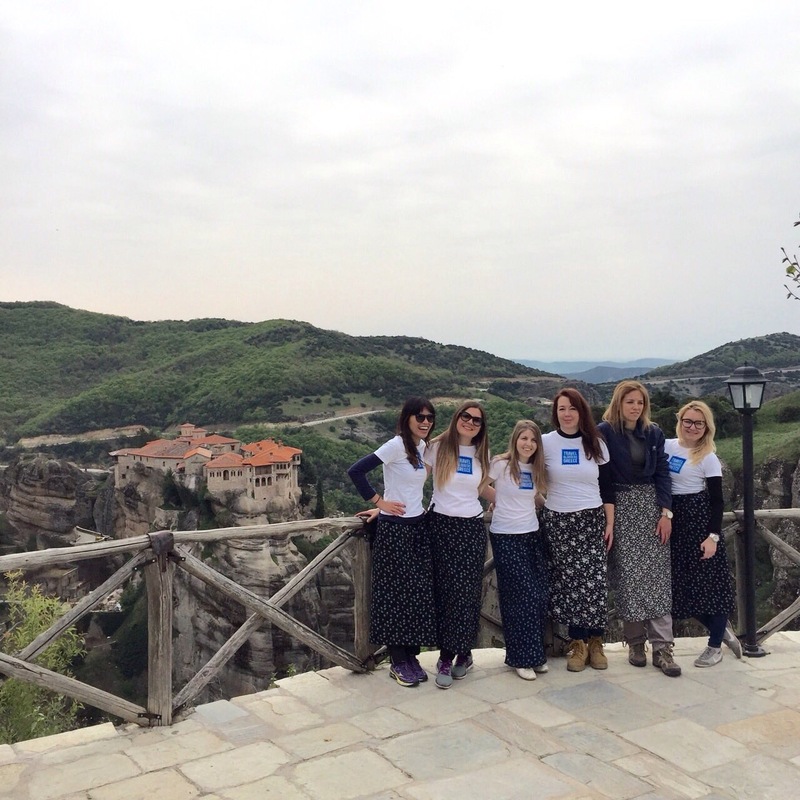 We also had the opportunity to share our impressions of Meteora Greece on video. I would definitely recommend that you take a hiking tour in Meteora, you will get to explore a different side to this natural phenomenon. 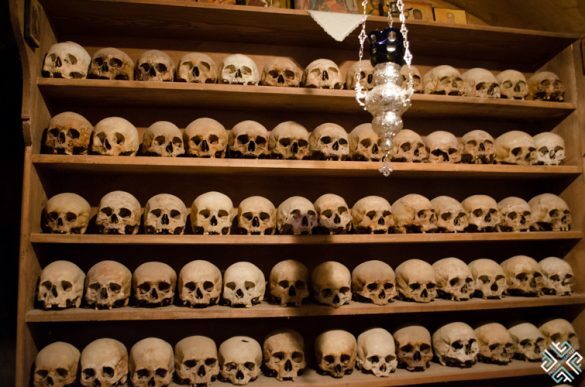 The Holy Monastery of Ypapantis was closed off to public for several years. 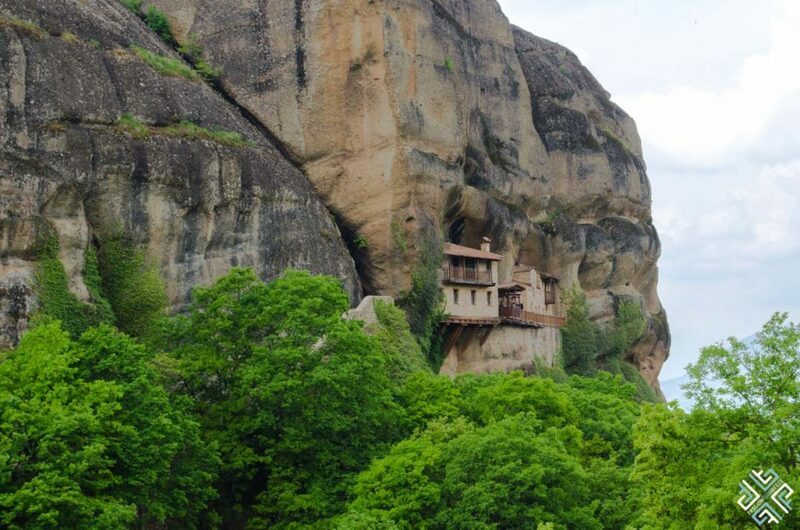 Unlike the other famous monasteries which dot the landscape and the rock pillars of Meteora, the Holy Monastery of Ypapantis is almost hanging from inside a cliff. 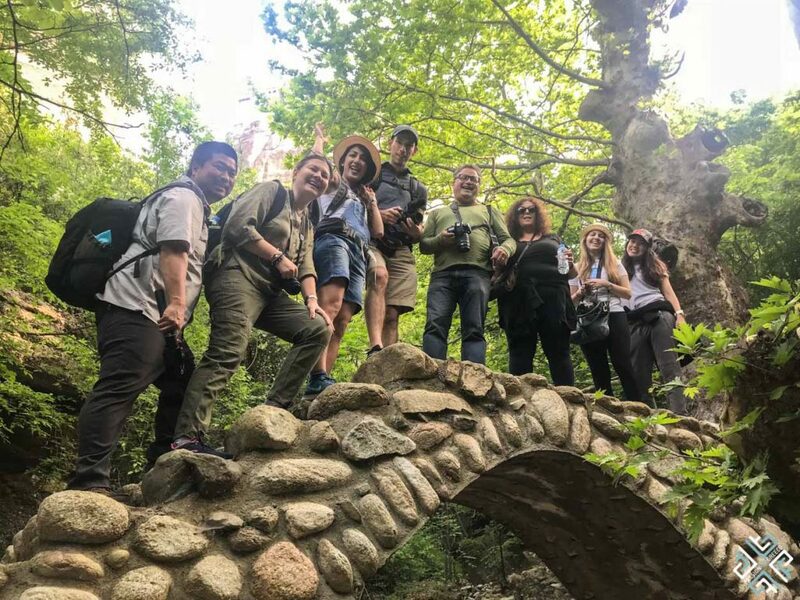 On our second visit to Meteora in April 2018, once again we joined Christos on a wonderful hike which took us through the hiking trails that lead to the Holy Monastery of Ypapantis. We started our journey on a route that is located right across from the Grand Meteora Monastery. 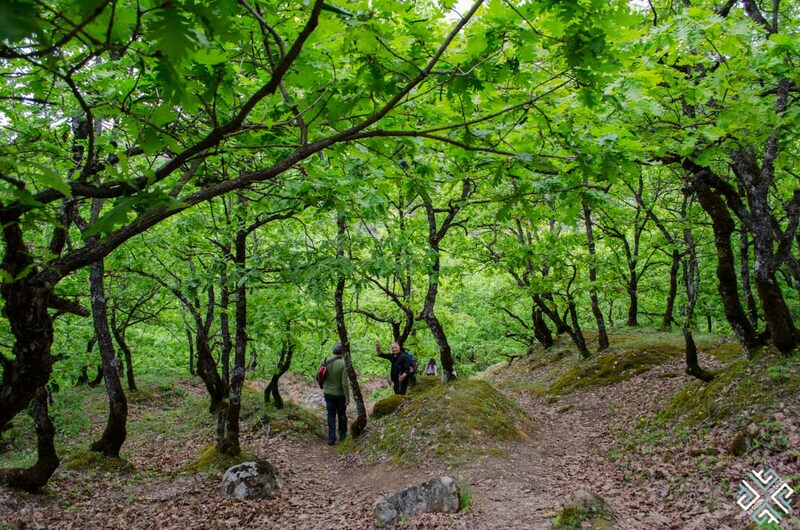 After a leisurely hike we reached a vast green area which opened up to an impressive monastery located inside a cavity of a rock. Dating back to the 14th century, the Holy Monastery of Ypapantis was founded by two monks — Nikos and Cyprianus. 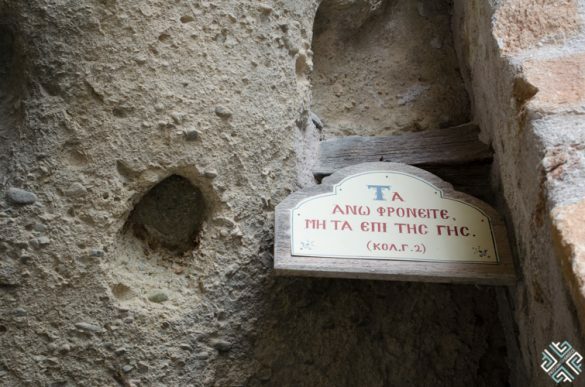 In 1809 the monastery was destroyed by a local rebel, Papathymios Vlahavas who was arrested by the Turkish army of Ali Pasha. 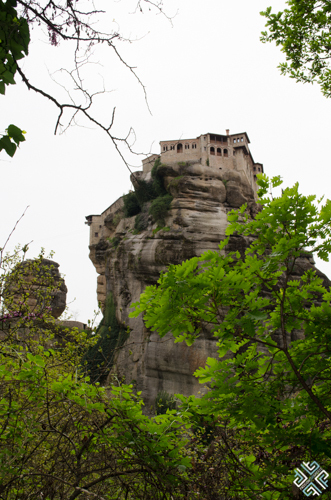 The small monastery opens up to impressive views of the surrounding forest and the massive limestone rock formations. 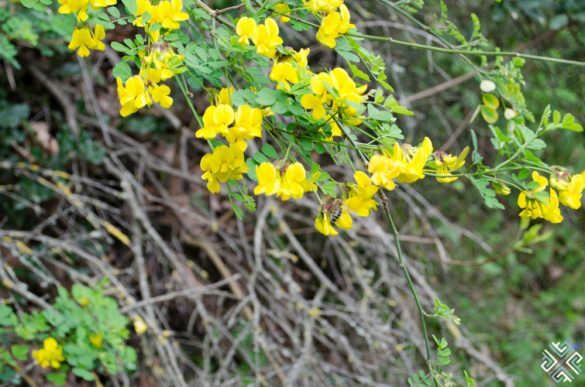 The hike here is quite easy and very peaceful. The monastery is open daily from 09:00 am to 2pm except Saturday and Sunday. 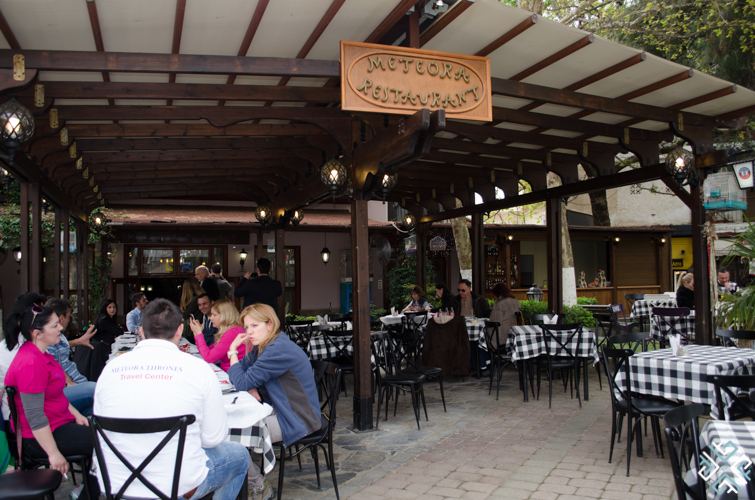 As you can imagine we worked up quite an appetite after the hiking experience, so for a well deserved lunch break we headed to the main square of Kalambaka to where is considered, you can experience the best meal in Meteora. 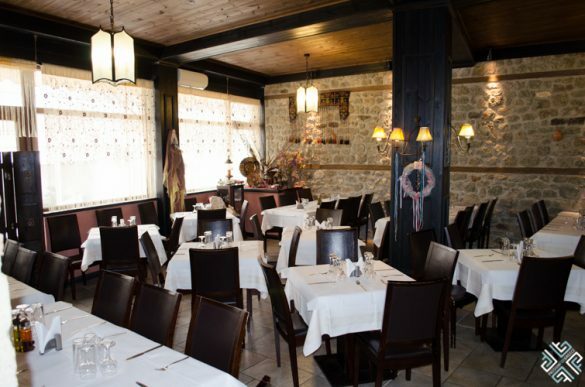 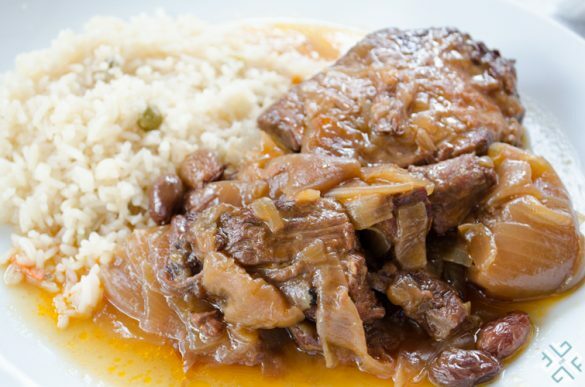 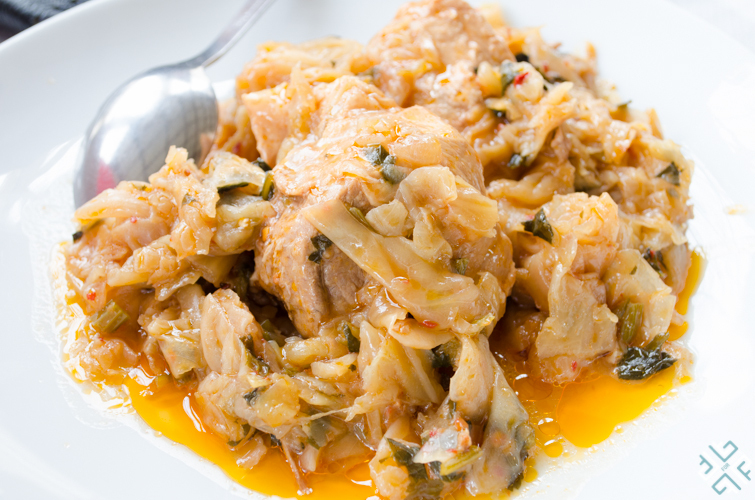 The restaurant is a family run business called Meteora Restaurant and it serves traditional dishes prepared with authentic recipes and the freshest ingredients. 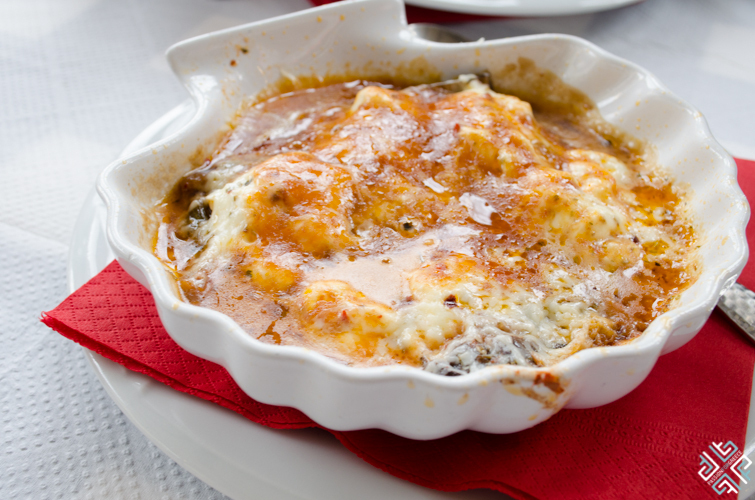 Their aubergines were something else! 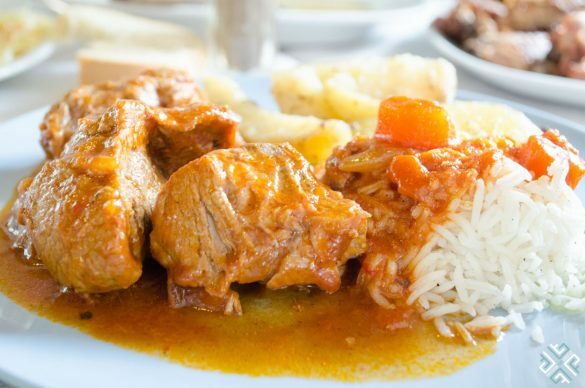 If you find yourselves in the area, you must definitely come here for a meal. 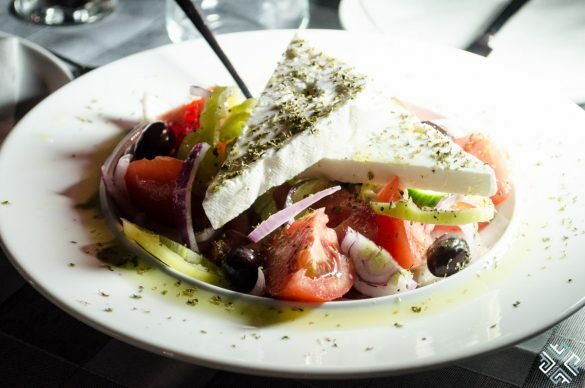 This traditional Greek taverna is located right in the heart of the Kalambaka’s central square. 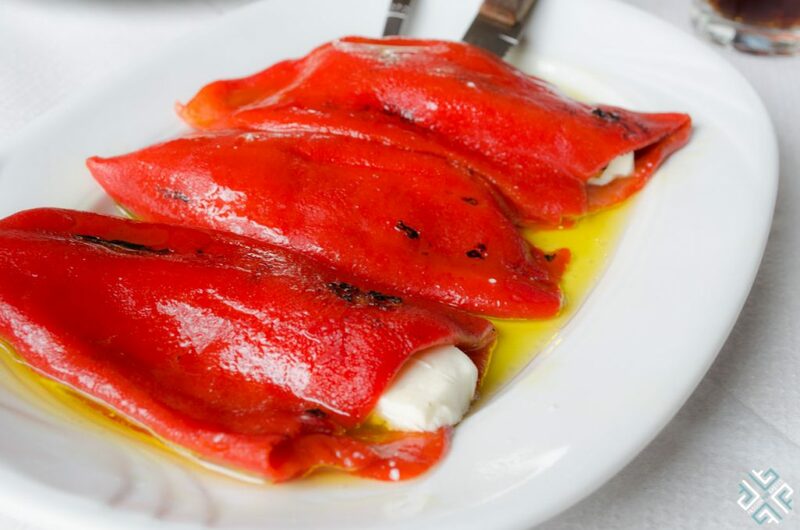 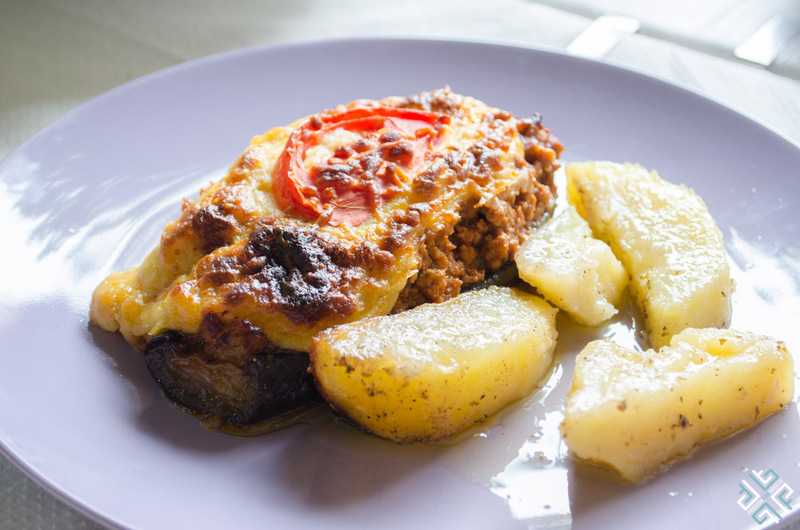 Here we enjoyed some of the Greek classic dishes such as Florina peppers stuffed with feta cheese, cabbage and carrot salad served with a lemon-olive oil dressing, pieced of tender beef cooked in a tomato sauce which are served with white rice and oven baked potatoes. 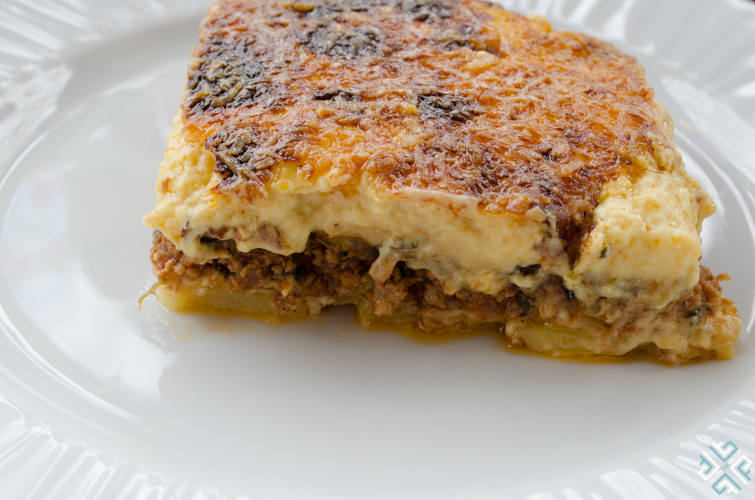 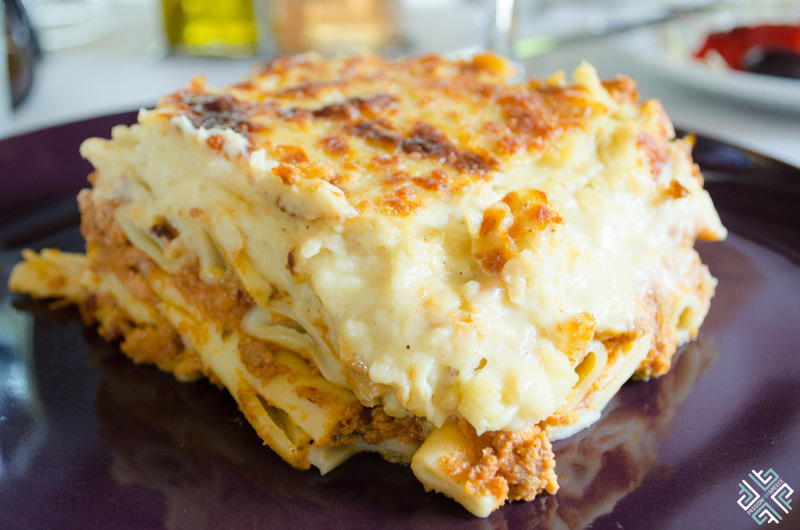 We also tried the staple Greek pastitsio which is a baked pasta dish topped with ground beef and béchamel sauce, papoutsakia (which translate as little shoes) made of baked eggplant with ground meat and béchamel sauce. 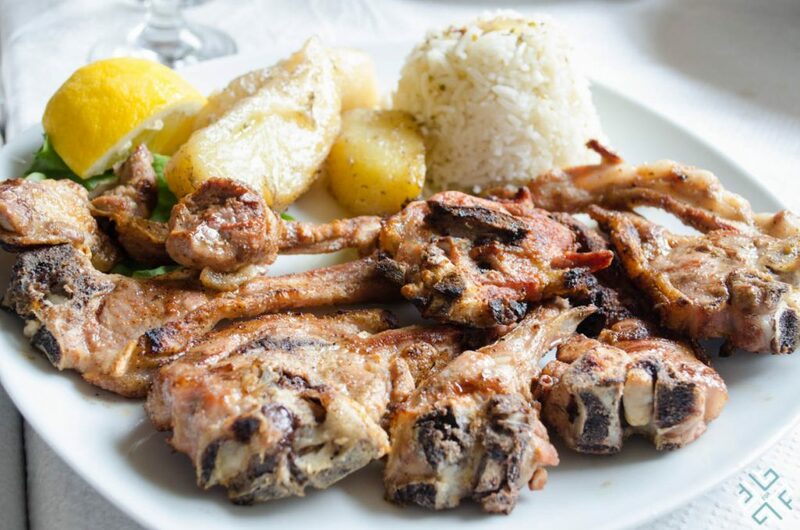 The highlight of the meal were the juicy, grilled lamb chops which are served with rice and oven baked potatoes. 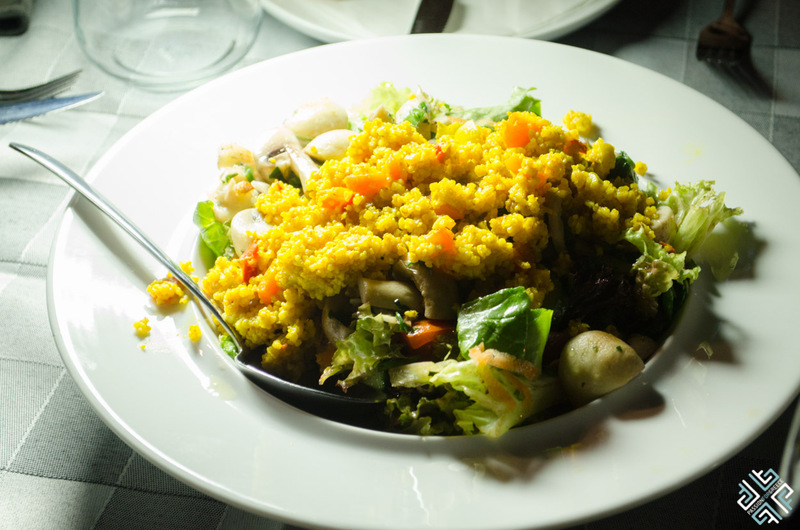 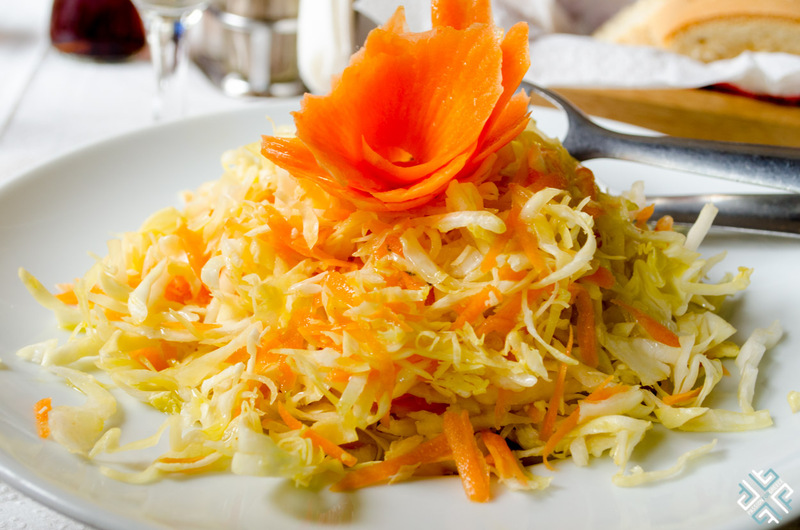 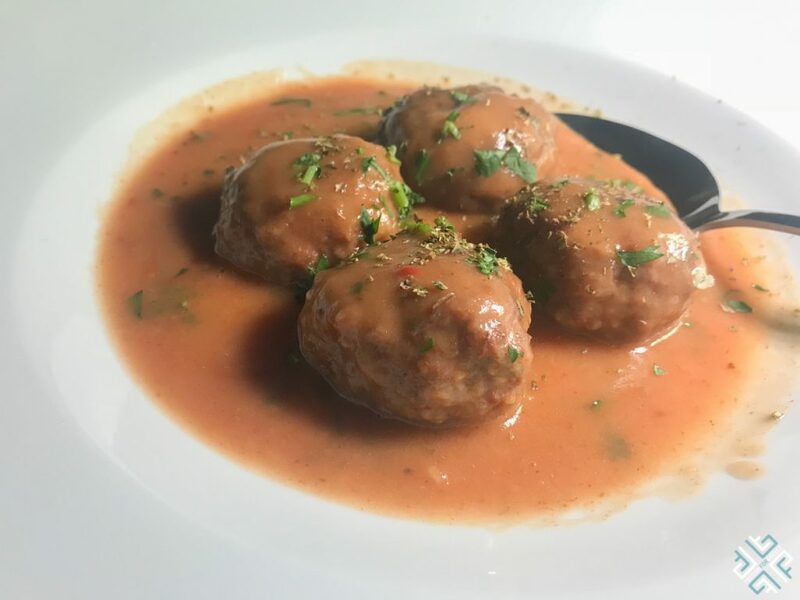 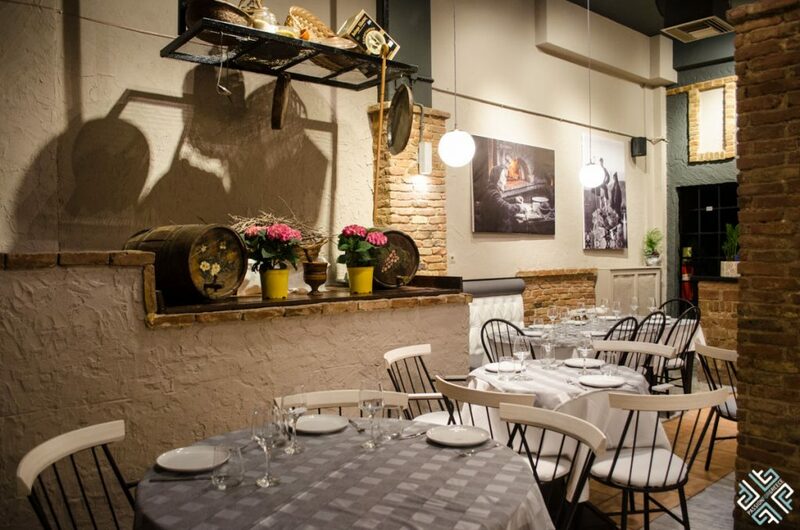 A newcomer on the Meteora food scene, Valia Calda Restaurant opened its doors in April 2018. We were there just shortly after the opening and enjoyed a delightful dinner which consisted of traditional meze style dishes based on the authentic recipes inspired by the monasteries of Meteora. 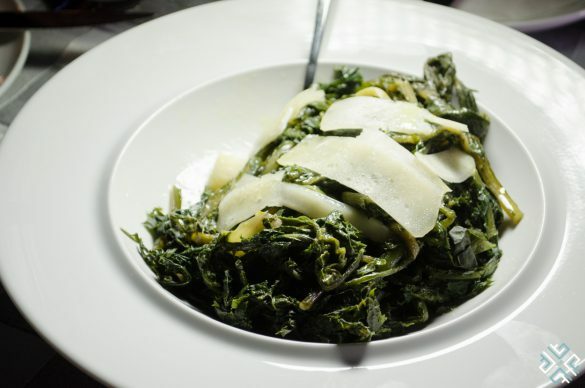 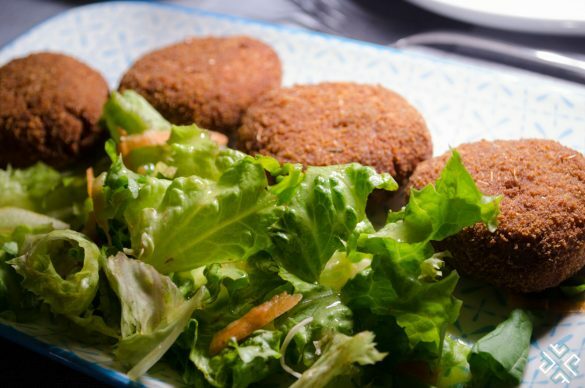 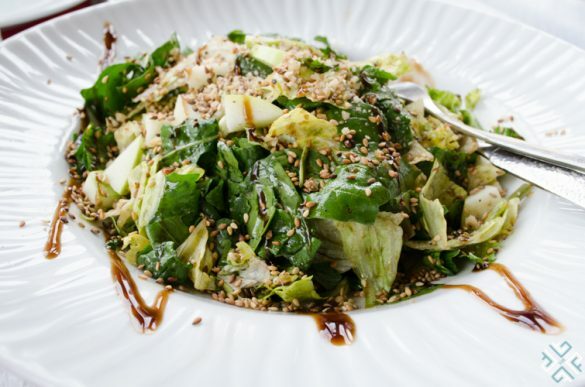 Prepared using locally sources ingredients of the Thessaly region we savored dishes such as spanakopita (spinach pie), wild greens, juicy meat balls, couscous salad and Greek salad. 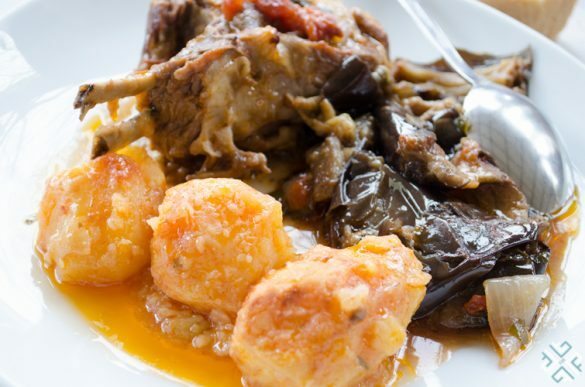 We paired the meal with a rich red Meteori Gi wine made of Cabernet Sauvignon and Syrah grape varieties. We stayed at the three-star Famissi hotel which is located right in the center of Kalambaka, and we had a wonderful view of the Meteora mountains. 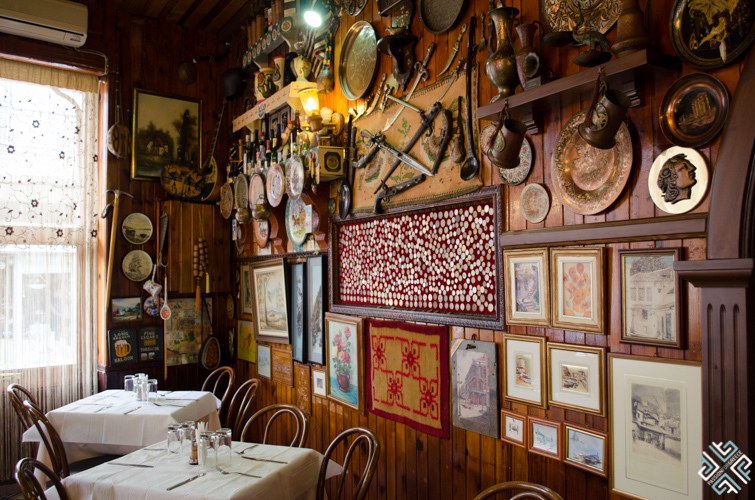 The location is excellent. 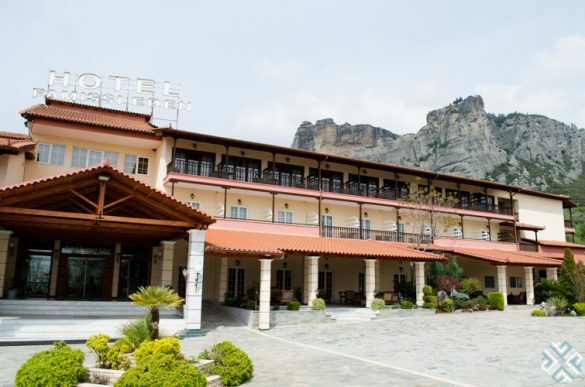 There is also a four star property which belongs to the same owner, the Famissi Eden Resort which features a swimming pool and has a church on the hotel premises. Are you convinced about the wonders of hiking in Meteora Greece? This article is just a taste of what Meteora is all about, I have more stories coming up soon.